This soap-free facial cleanser cleans and removes impurities from the skin, either makeup, pollution, sweat ...It is suitable for all the family. Aloe vera to soften the skin and the natural aroma of kiwi enlivens. 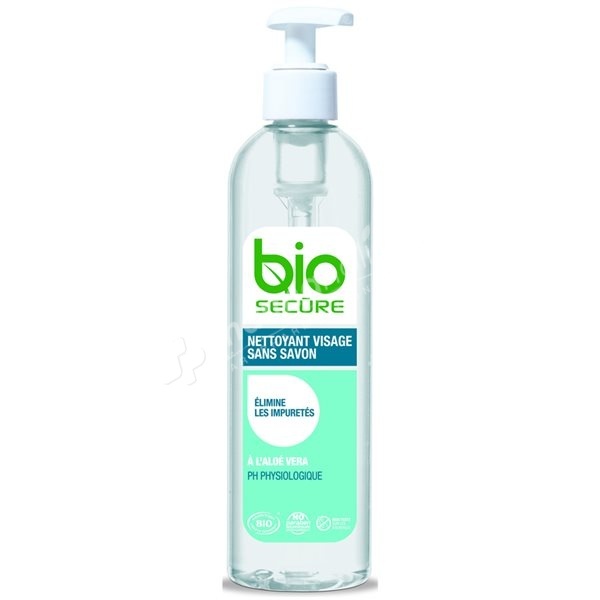 This cleansing gel is suitable for dry skin, it perfectly cleanses and leaves your skin fresh and soft. Use morning and evening cleansing gel and foaming a fair amount of gel on the moistened face. Massage gently and rinse with water. Aqua, Aloe barbadensis gel *, ammonium lauryl sulfate, glycerin, sodium cocoamphoacetate, coco-glucoside, glyceryl oleate, benzyl alcohol, tocopherol phytic acid, aroma, sodium benzoate, citric acid, sodium hydroxide, hydrogenated palm glycerides citrate. * Ingredients from organic farming.